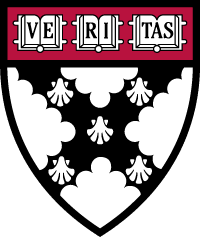 An online leadership development program from Harvard Business School for the next generation of leaders. As an emerging leader in your organization, you’ve demonstrated the potential to make an outsized contribution. Maximize this opportunity with Developing Yourself as a Leader, a first-of-its-kind program designed to enable high-potential emerging leaders to benefit from live, direct interaction with Harvard Business School faculty and talent development coaches without having to travel to campus and interrupt their work schedules. Anchored by the unique PACE (Pick-Apprise-Collect-Elicit) leadership self-development model, the program will enable you to:Experience the power of the Harvard Business School classroom – discussing, debating, and interacting live with our faculty and your peers – by logging in from wherever you are in the world to take your “seat on the wall” in our state-of-the-art virtual classroomChart your leadership trajectory with personalized, one-on-one leadership development coaching from the same talent development coaches that serve Harvard Business School’s MBA programOur unique approach – combining best-in-class insights from Harvard Business School faculty with individualized coaching to translate the learning to your personal leadership goals – gives you the tools to take action in your leadership development today, tomorrow, and well into the future. Across the course modules, you’ll develop skills in:Self-Discovery and Honest Self-AssessmentUnderstand your leadership profileSelect goals to increase your professional influence and impactPrepare to take advantage of leapfrog opportunities in your career Design and PlanningDesign a career path that builds relevant skillsets and channels your passionsExplore career transitions including moving up and laterallyEnlist colleagues' help in achieving leadership goals and milestonesGetting Yourself ReadyCommunicate for influence across the organizationBridge differences and collaborate more effectivelyAdapt this process to self-develop leadership skills throughout your careerProgram StructureOver 12 dynamic, high-impact weeks, you and a cohort of emerging leaders from around the globe will have a one-of-a-kind leadership development experience combining the time-tested power of the Harvard Business School classroom experience and the personalized attention of one-on-one leadership development coaching – all delivered virtually via our virtual classroom.Participants in Developing Yourself as a Leader are eligible for a Certificate of Participation from Harvard Business School Online. To earn the certificate, participants must prepare for and attend all eight classroom sessions as the learning experience is dependent on a highly engaged cohort.8 Virtual Classroom Sessions with HBS FacultyStep into the shoes of leaders in HBS case studiesTackle real-world leadership challenges with HBS facultyForge long-lasting relationships with global peersThree 1-on-1 Virtual Coaching Sessions with HBS CoachesDiscuss goals and challenges with HBS talent development coachesApply leadership lessons to your day-to-day contextDiscover strategies to grow as a leader long after the program endsWho Would Benefit?Developing Yourself as a Leader is intended for high-potential emerging leaders who want to gain the ability to develop and manage their leadership trajectories. Participants will be energized by a dynamic course format, including individual and peer assessments to build self-awareness, personalized one-on-one coaching to address key goals and challenges, and discussion and debate with HBS faculty and peers from around the world.Interested in obtaining reimbursement from your employer for this course? Click here for more information on how to do so.Organizations can expect participating employees to learn methods for growing their influence, improving their impact on others, and deepening their capacity to achieve results in their current roles, as well as how to proactively self-develop leadership skills—and be good pupils of those leaders around them within your organization—as they ascend to levels of increasing responsibility.AdmissionsIt is free to apply, and applications are reviewed and accepted on a rolling basis within each round as described in the table below. Round 1Round 2Round 3Application Submission Period6/5/18-8/29/188/30/18-10/17/1810/18/18-12/5/18Application Deadline8/29/1810/17/1812/5/18As Developing Yourself as a Leader is a limited capacity program, early application is encouraged with round one applicants receiving priority consideration. The application should take approximately 10-15 minutes to complete. Successful applicants will have an undergraduate degree, a clear vision of how the program fits into their leadership development goals, and a desire to contribute to our vibrant learning community. Proficiency in written and spoken English is essential.Students who are admitted to the program will need to meet the minimum technical requirements for our interactive classroom. See the Frequently Asked Questions for more information.About HBS OnlineHarvard Business School Online teaches vital business concepts in a unique and highly engaging way that enables committed learners to transform their careers, their organizations, and their lives.